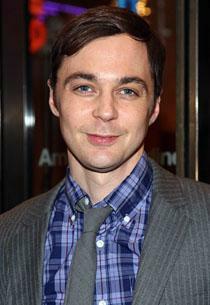 Jim Parsons, who plays arrogant nerd Sheldon on CBS' hit comedy The Big Bang Theory, has found a very modest way to announce that he is gay. In an interview with the New York Times, Parsons discusses his recent work on Broadway, which includes playing a gay activist in The Normal Heart. In reporting Parsons' affinity for the play, author Patrick Healy revealed something that has been long speculated. "The Normal Heart resonated with him on a few levels: Mr. Parsons is gay and in a 10-year relationship, and working with an ensemble again onstage was like nourishment," he wrote. While The National Enquirer "outed" Parsons in 2010 with news of a supposed engagement to partner Todd Spiewak, this is Parsons' first public acknowledgement of his sexuality.